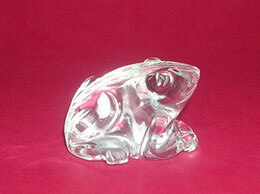 ﻿Feng Shui Frog - Prana Crystals ! 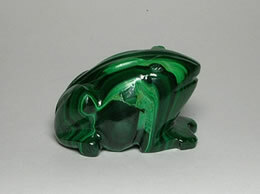 The Feng Shui frog is considered as a symbol of transition. Feng Shui frogs are also well known as “Money Frogs”. In many cultures the primary symbolic meaning of frogs deals with prosperity and abundance. This is largely because these cultures observed frogs laying enormous quantities of eggs, therefore making it a symbol of abundance. So if you want to attract more money, place this Feng Shui Frog in your home (highly recommended in your living room). 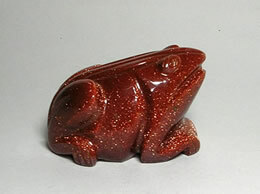 This Feng Shui Frog will sure help you attract money and abundance of energy into your life. We have in our store frogs that are handcrafted from natural stones like quartz crystal, Rose quartz, Malachite, Sun stone and many other different type of agates.